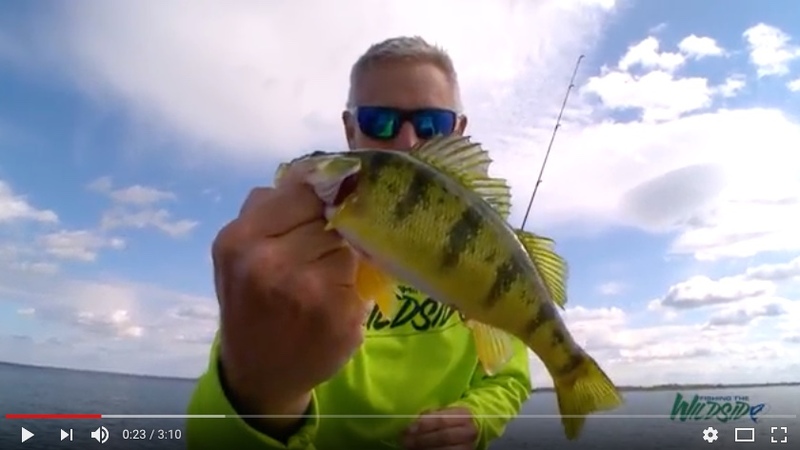 Fall is prime time to tap one of the year’s best yellow perch bites, as gluttonous jumbos gather in predictable places. If you’re a fan of fast action, fish fries and sweet-tasting fillets, you don’t want to miss it. Here’s the deal: From the Great Lakes to large natural lakes and small inland honeyholes, falling water temperatures trigger perch to abandon a variety of summer ranges in favor of shallow, food-laden flats, where they feast on protein-rich forage such as small crayfish before winter locks the lakes in its icy grip. The shallow flats bite gets better as the water cools from the summer peak all the way to the fall turnover. After that, perch still roam the flats, but the big schools tend to break up. Flats lying in 4 to 10 feet of water are generally a good starting point. Since schools of portly perch roam these areas like buffalo herds grazing the prairie, the trick to finding them is covering water. 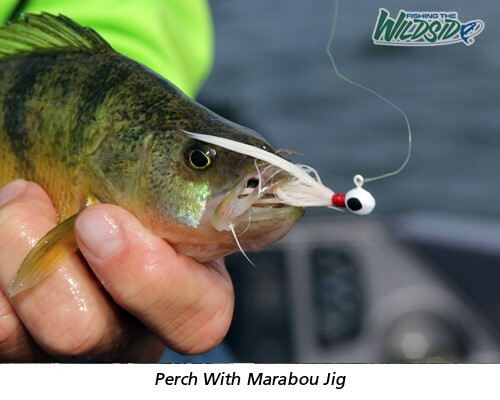 Keep in mind perch tend to school by size, so don’t settle on a spot until you find the fish you want. 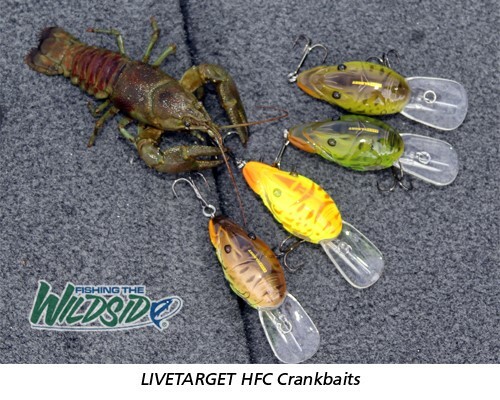 In search mode, I like throwing tiny crankbaits like LIVETARGET’s HFC (Hunt For Center) Crawfish. The 3/8-ounce, 2-inch floating bait dives 6 to 8 feet, which is perfect for fishing fall flats. It wiggles and wobbles in an off-center manner just like a real crayfish swims. Plus, it comes in a variety of colors, so you can mimic crayfish colorations in the waters you’re fishing. 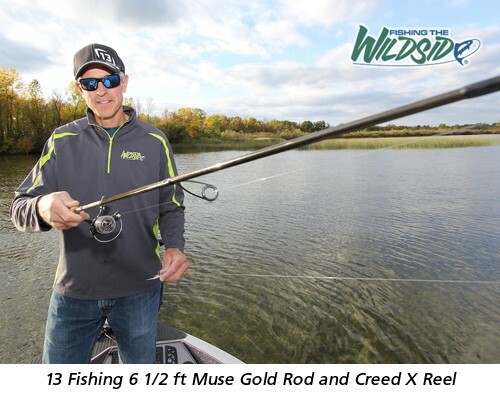 The HFC Crawfish excels fished on 6-pound monofilament and a 6½-foot, medium-action spinning rod like 13 Fishing’s Muse Gold MG S66M. Make a long cast, swim the lure down, then retrieve it just off bottom. Pause when you nick vegetation, allowing the bait to rise a few inches before continuing the retrieve. 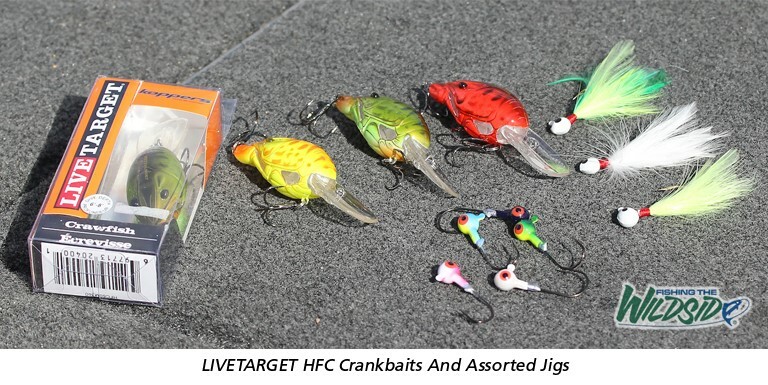 This crank-nick-float routine is extremely effective at pushing fat fall perch over the edge. 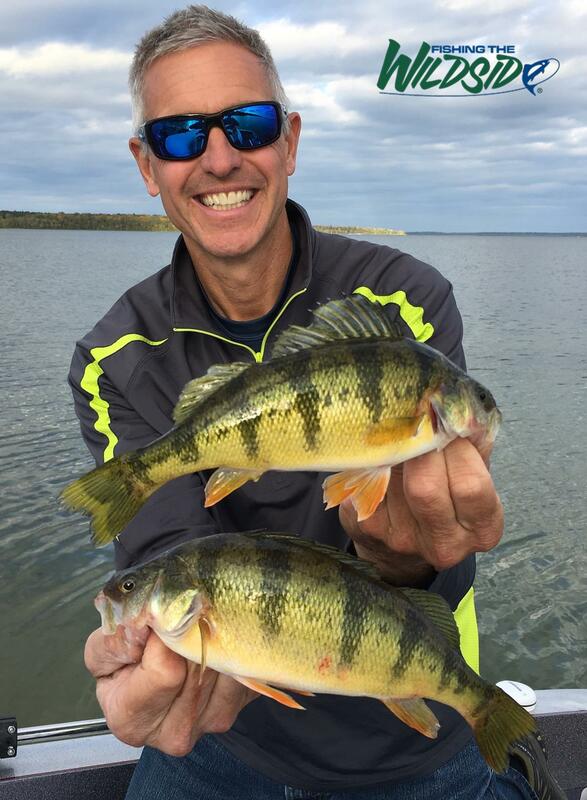 After locating perch, follow up with a 1/16- to 1/8-ounce hair or marabou leadhead jig, tipped with a chunk of nightcrawler or half a fathead minnow (head or tail, doesn’t matter). Experiment with jig action. Sometimes a subtle drag is best. Other times, perch prefer a pop-and-pause locomotion. Dialing in the right cadence takes a few minutes, but is key to milking the most perch possible from a spot before moving on in search of the next school of autumn jumbos.